This month, staff at Animals Asia's Chengdu Bear Rescue Center are all smiles, but just nine months ago it was a different story. 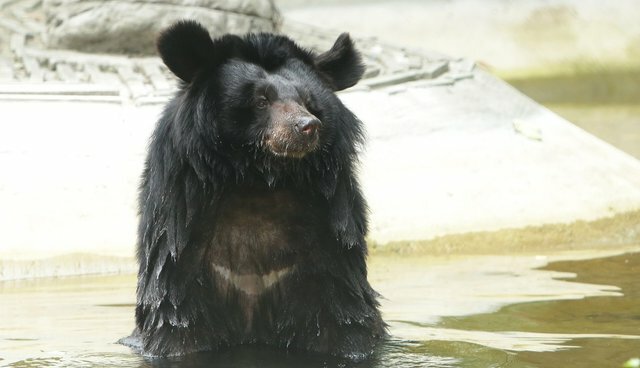 Last October, hopes for a healthy future for rescued moon bear Edga took a dive when staff found evidence of a suspicious lump on what remained of her gall bladder. When an ultrasound confirmed the growth it gave rise to fears that the years of cruel treatment Edga endured on a bile farm were finally about to catch up with her. 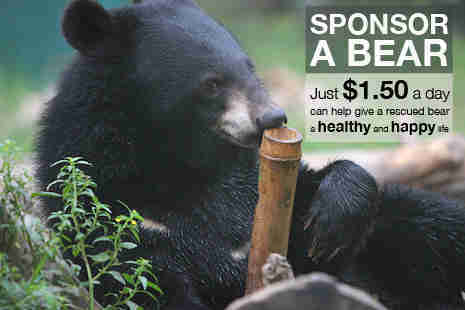 On bear bile farms in China and Vietnam, bears like Edga are subjected to a lifetime in a tiny cage so that the bile can be extracted from their gall bladder for use in traditional medicine. Bile is extracted using various painful, invasive techniques, all of which cause massive infection in the bears. Some bears are caged as cubs and never released, with many kept caged for up to 30 years. Most farmed bears are starved and dehydrated, and suffer from multiple diseases and malignant tumours that ultimately kill them. For the lucky few like Edga who are rescued, a cholecystectomy is often required to remove their ravaged gall bladder. Edga had kept her gall bladder, until now. Suddenly, worried workers were faced with the possibility of having to perform surgery to completely remove her gall bladder, an invasive procedure necessitating months of rehabilitation. This, on top of an existing heart condition and slowly deteriorating mobility, meant that Edga had a potentially very rough ride ahead of her. But after in depth analysis by specialists - whose recommendation was to closely monitor Edga and reassess her condition mid-2015 - staff were delighted this month to discover her gall bladder condition hadn't worsened. In addition, they found a condition affecting her eyesight had actually improved. "At the end of last year, Edga's health check revealed the suspicious growth - it was only small but we took ultrasound images and consulted specialists. We feared the worst naturally, but specialists said there was no need to operate urgently, instead advising us to closely monitor Edga. We've watched her behavior intently since that day, hoping not to see any indication of her feeling unwell. We've just done a mid-year check and the good news is that the gall bladder mass appears much the same as last year, which makes it less likely to be cancerous or something aggressive. "In addition, she has actually had improvements in the appearance of her retinas, which is a section of the eye that can be affected by high blood pressure. The entire team was delighted by the discovery - this is a real turnaround for Edga." Sadly, Edga is in a minority as most bears rescued from the bile trade require the partial or complete removal of their gall bladders due to the irreparable damage caused by invasive bile extraction techniques. But Edga appears to be one of the lucky ones. 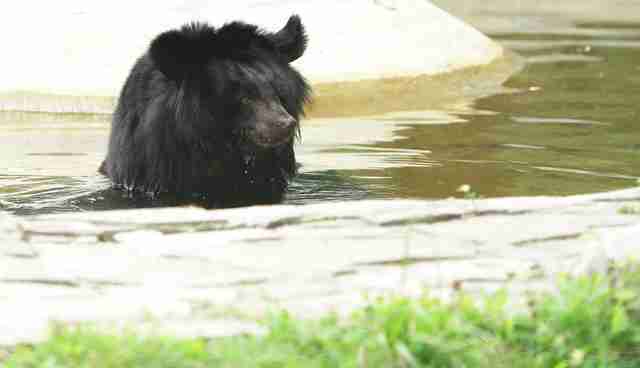 The very next day after her recent medical, she returned to her bear house where she spent the day in her grassy enclosure and lounging about in the pool. Despite the concern for her welfare just nine months ago, Edga is continuing to defy the odds with the help of her dedicated carers. 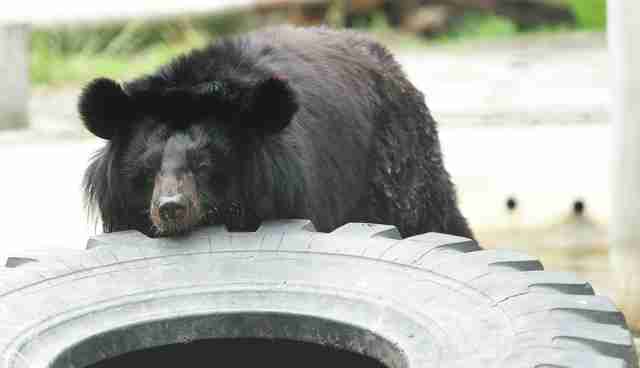 We hope Edga's story will inspire you to never give up hope this #MoonBearMonday.